Banerjee arrived at Washington State University from Chandigarh, India, in 1998. After completing his master’s in materials science and engineering, he took a job at Micron Technology Corporation in Boise, Idaho. An excellent opportunity to put theory into practice, Parag learned a lot at Micron, but kept his sites on earning a doctoral degree. While looking into the top programs in the U.S., Parag connected with MSE Professor Gary Rubloff. “Gary and I had a long conversation and I was immediately struck over our commonalities, especially his growing interest in atomic layer deposition at the time,” said Parag. An offer was made not long after, and during the summer of 2006, Banerjee began his Ph.D. research at UMD. At the time, Banerjee was interested in research that had social relevance and would make an immediate impact on society. In addition to his on-campus studies, Banerjee branched out and spent four months in 2009 at the University of Pennsylvania, under the tutelage of Professor Dawn Bonnell, currently the Vice Provost for Research at Penn. 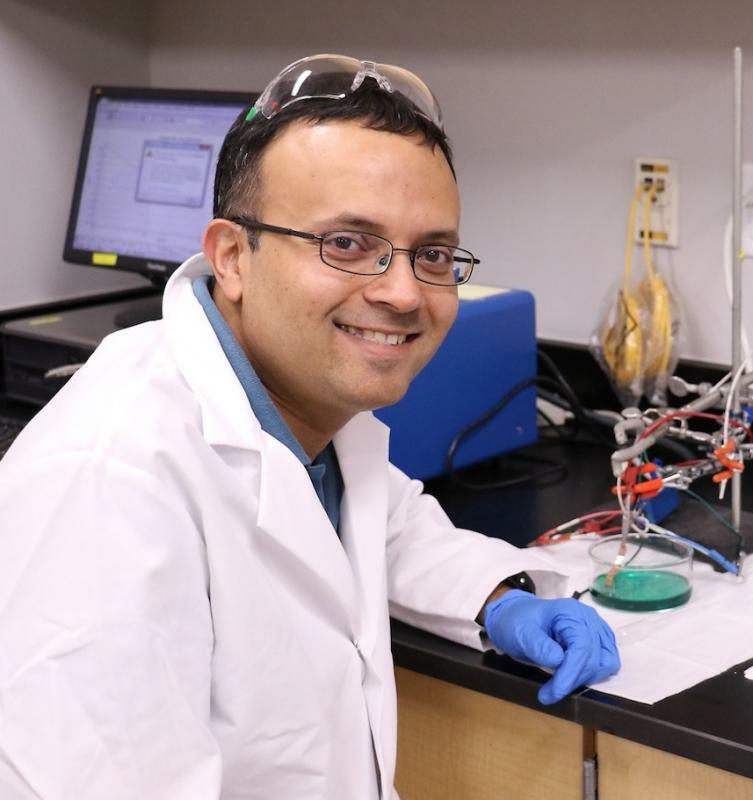 Currently, Banerjee serves as an associate professor in Materials Science and Engineering at the University of Central Florida (UCF). His research interests include atomic layer deposition and etching; surface engineering for catalysis and solar energy harvesting. He is part of the energy conversion and propulsion faculty cluster. Banerjee recently made headlines after he and his research partner, Srikanth Singamaneni – a professor in the School of Engineering and Applied Science at Washington University in St. Louis – landed an NSF grant to develop an early warning device for would-be heart attack patients. “Detection that happens at the molecular level using plasmonics is all optical based,” he said.